Grinding and welding are the two most common tasks resulting in an eye injury, according to a 2008 report from Safe Work Australia (SWA). The report found that a substantial number of injuries occurred in the presence of PPE with workers saying that foreign bodies went under, over or around the sides of the safety eyewear. In the case of grinding, 40 per cent of cases presenting at Victorian Emergency Departments recorded the presence of eye protective equipment. Many injuries are preventable when PPE is fitted correctly, appropriately chosen for the job and consistently worn by everyone in the risk area, not just the operator. The SWA report suggested improving the training of workers in the correct use of safety eyewear. Eye injuries include scratches or cuts to the eye surface, punctures, foreign objects in the eye such as dust particles, wood chips and metal fragments, chemical or heat burns and radiation burns, such as welding flashes. Better Health Victoria identifies high risk jobs for eye injuries as those that involve chemicals, dusty environments, UV lights, compressed air or machines and tools that “chip, chisel, cut, drill, grind, hammer, sand, smelt, spray or weld”. What safety eyewear should I use? Eye protective equipment includes safety glasses, safety goggles and face shields which should be matched to the application and associated risks. Safety goggles are fitted tightly around the eyes with a protective seal while face shields protect the whole face, although should be used with glasses or goggles underneath as best practice. Ordinary eyewear such as prescription or sunglasses do not offer appropriate protection in workplaces and contact lenses can actually increase the severity of injury in some accidents, according to Better Health Victoria. In the table below, PPE suggestions are given for different hazards and some of the tasks where they might occur. However workers and employers should always perform their own risk assessment and try to use other control measures in conjunction with PPE to reduce the risk of injury. Safety glasses are the minimum and preferably will have side shields to reduce the risk of foreign objects going around the lenses. Safety goggles are more effective at protecting against hazards from going under or around the edges due to the seal. The impact rating of the lenses should be fit for the task. Face shields are recommended for explosive power tools, including nail guns. Heat: anything emitting heat at high temperatures including molten metal and sparks. Safety glasses/goggles with lenses fit for high temperatures. When working with molten metal, safety goggles and face shields are vital to reduce the risk of splash injuries. Safety goggles and/or face shields must be used. Safety glasses are NOT adequate protection against chemical hazards. 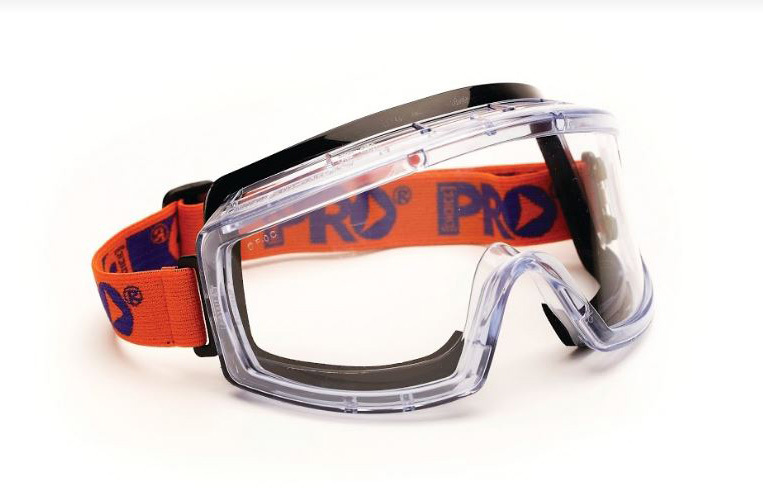 Safety goggles are the only PPE which provide adequate protection against harmful dust and airborne particles as they form a protective seal around the eyes. Filter lenses in protective eyewear should be fit for the maximum intensity of radiation the worker could potentially be exposed to in the task. Welding helmets should always be used. 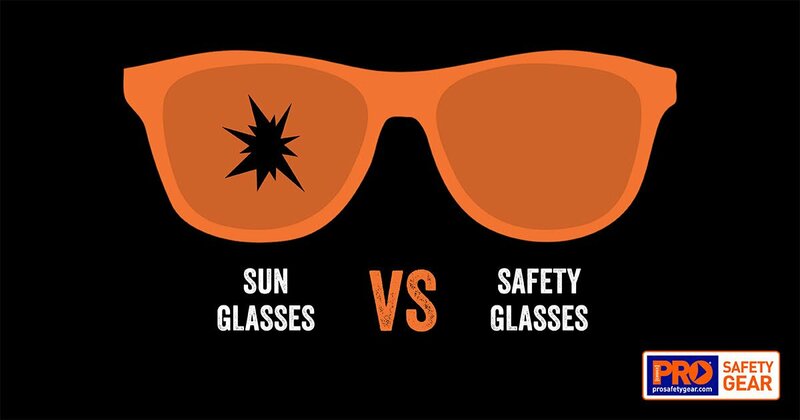 Protective eyewear with a UV protection rating should be used when working outdoors. Sourced from information contained in the US Eye and Face Protection e-Tool and Better Health Victoria’s Eye Safety at Work. Flush with clean water for at least 15 minutes using clean fingers to hold the eye open.